here are the pic of whats growing on the lr. hope you can see them. there 4 small like starfish(were there yesterday gone today?) then there is an eye shape thing that opens and closes. 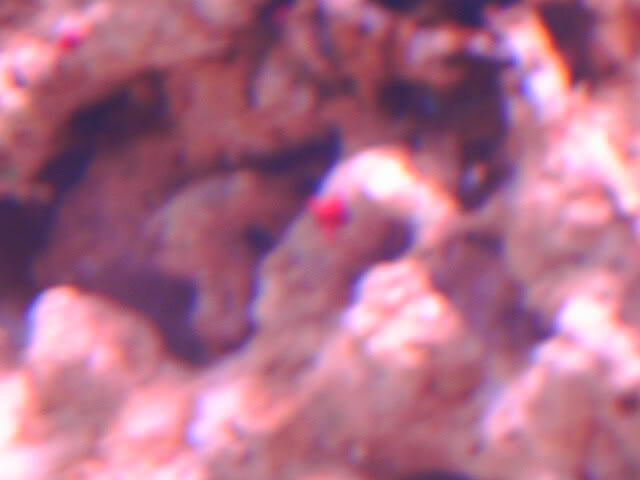 and there is red stuff growing out of the other rock looks like coral. Looks like the same stuff I found on my new liverocks.com rocks. 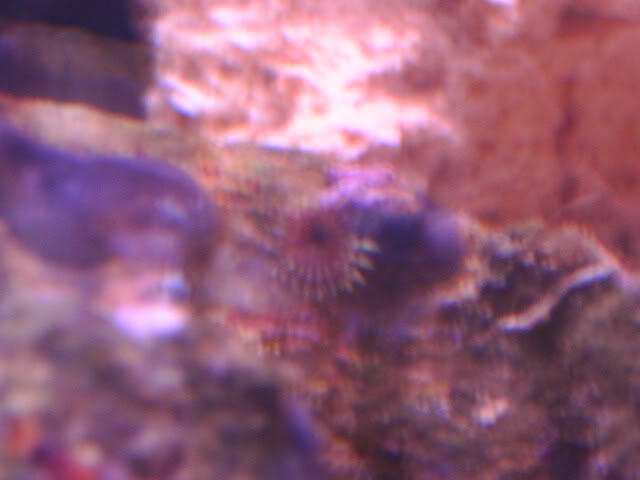 And I'm finding new things each time I look in the aquarium. Cool! The little starfish is awesome. Could that picture possibly go up for photo of the month? I think it's a great picture. That first pic should certainly go up for photo of the month!! get on that!! but be cautious of that little starfish! 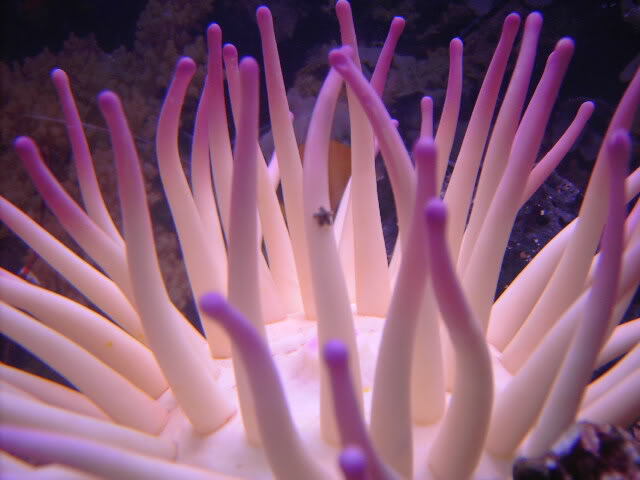 There are a species of small starfish that breed rapidly and eat coral polyps... keep an eye on where you see him, and if there seems to be any damage done after they've been there. Check the SW Identification forum for other threads on them. I know there is also some info on the garf.org website. The last red thing is a formaniferan. Adorable filterfeeding single celled organisms (yea they are single celled, despite their size). They are completly harmless, but the shell is a little sharp so if you see one, that means you have dozens on the shaded area of your rocks, so be careful about picking them up with bare hands, because if you do, they could rip you pretty well. Interestingly enough, they are the organisms that make some beaches the characteristic pink color.